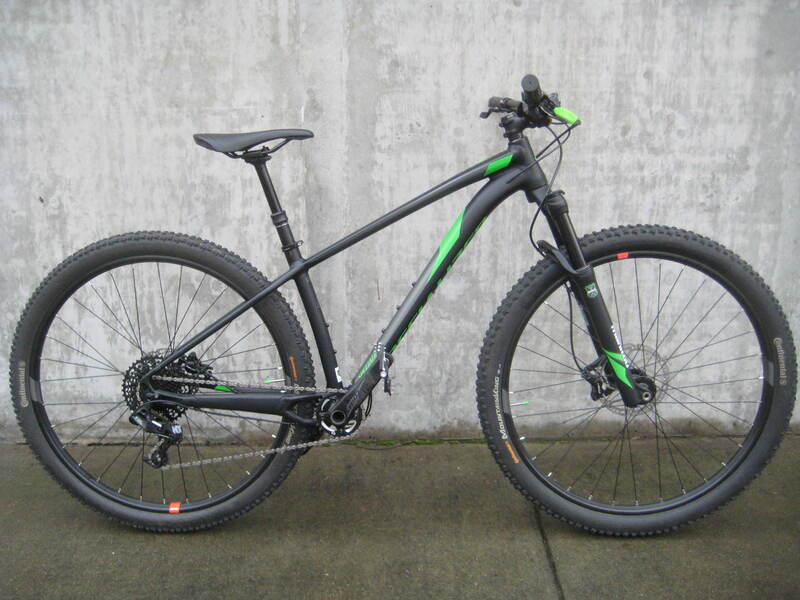 Let’s say that you’re looking for a new Full suspension bike that runs less than $1800. You’ve already checked out Marin’s Hawk Hill and are pretty impressed. But you want bigger wheels. 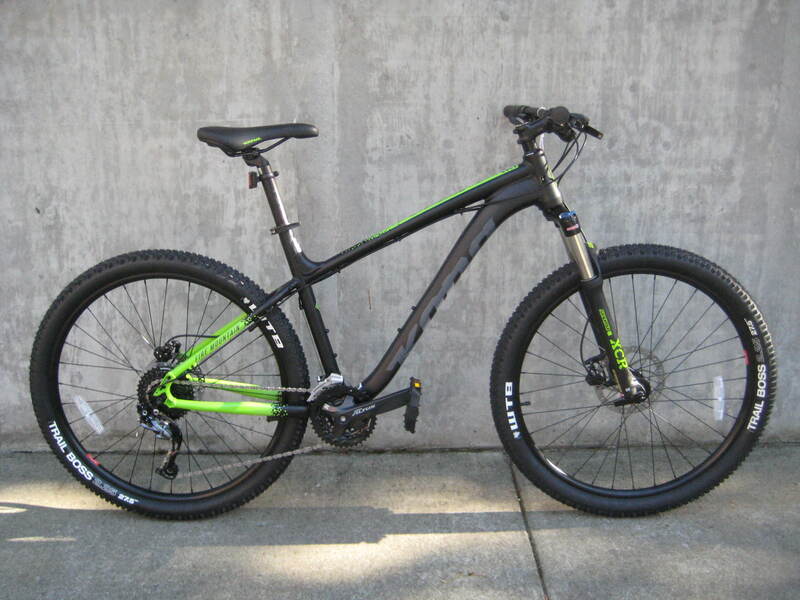 There’s a bike! 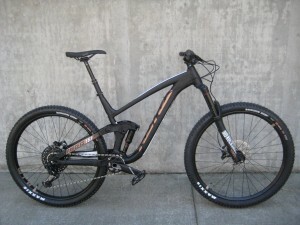 Marin does 29’er versions of their Hawk Hill trail bikes called Rift Zones. 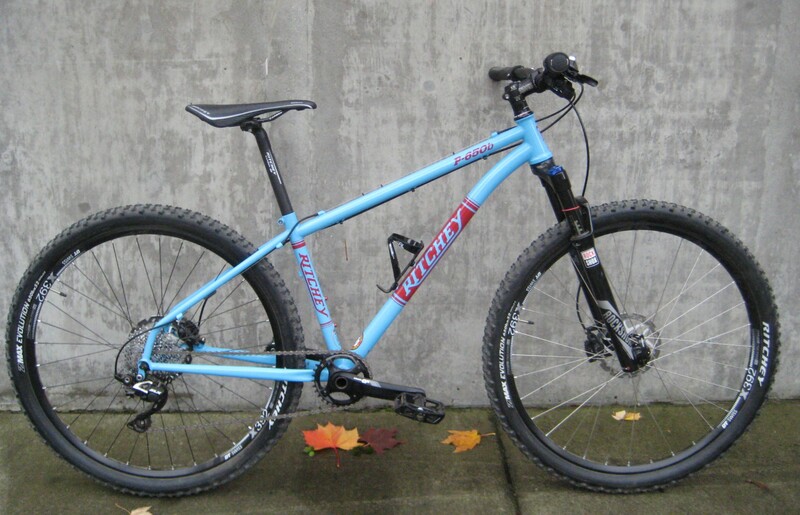 The Rift Zone 1 closely matches the Hawk Hill 1 in components and price, with the Rift Zone 2 and the Hawk Hill 2 lining up similarly as well. These are great sporty bikes that do a lot of things well. 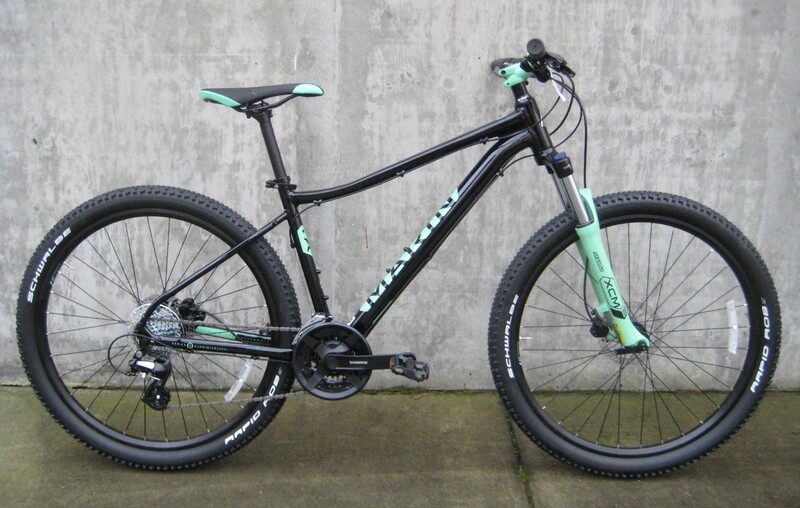 They’re fast enough to race, they’re stable (and tough enough) to handle the more advanced trails at Whistler bike park, and they’re comfortable enough to leisurely roll through the Grand Forest as you follow your 10-year-old around the park. 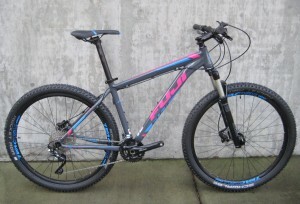 Here’s are some nice starter mountain bikes for teens and adults. 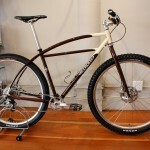 These are Marin’s Bolinas Ridge models. 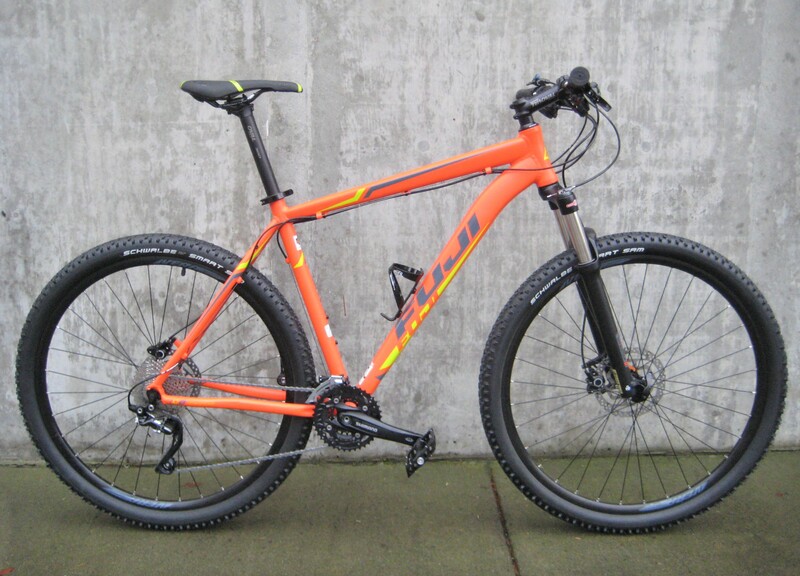 They’re nice entry-level hardtail mountain bikes equipped with disc brakes, Shimano drivetrains (Tourney and Acera), and Suntour suspension forks with 100mm of travel (the Bolinas Ridge 2 has a suspension lockout on it). 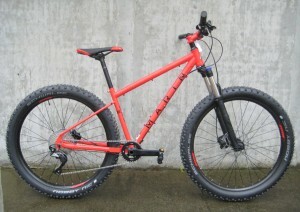 The Bolinas Ridge models happen to roll on top of 27.5 inch wheels. The 26” wheel size was the mountain bike standard for over 30 years but now most off-road rigs are now using 27.5” or 29” wheels for the improved traction and ability to roll over large obstacles. 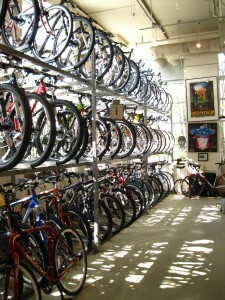 With these bikes you get a broad size range. 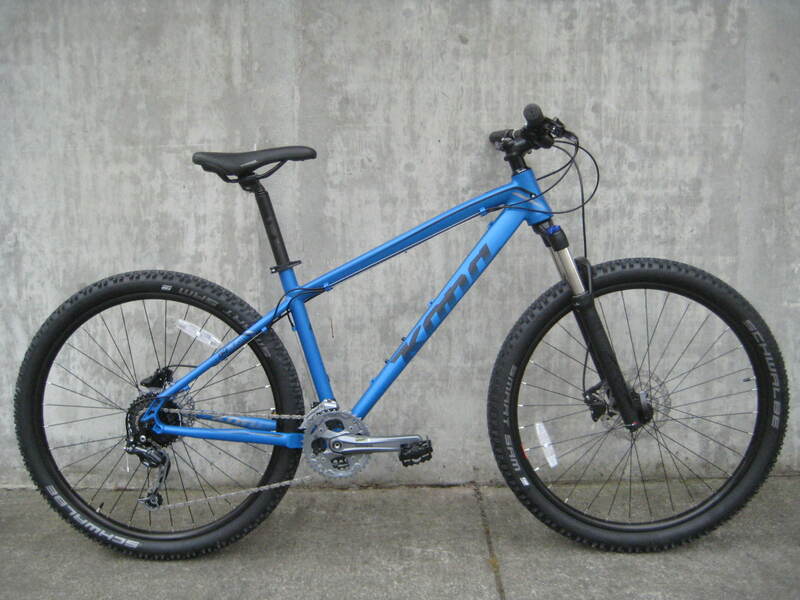 With the extra small 13″ frame size rolling around on top of 27.5″ wheels you‘ll get nimble handling, good comfort and decent standover clearance for folks in the 4’9″ to 5’1″ height range. The small to medium sizes are still easy to handle for people just over 5’ tall, and can provide some room to grow up to 5’7” or so. Bigger sizes are also available (of course) in both versions. 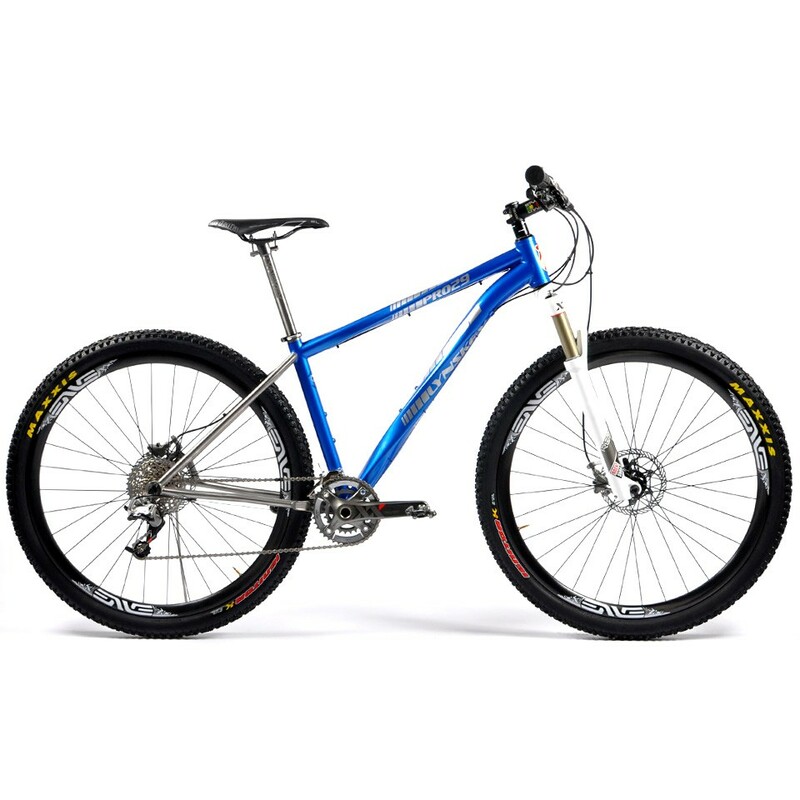 We generally advise larger adult riders to grab the Bolinas Ridge 2 or make the step up to more expensive bike models that will provide greater long-term durability. Although these bikes look like motorcycles with the engines removed (acoustic motorcycle?) they’re actually pretty light and efficient. 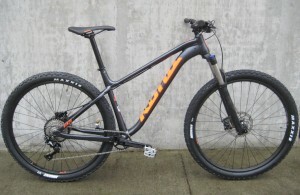 Kona’s Process series of enduro mountain bikes are extremely capable and perfectly balanced. 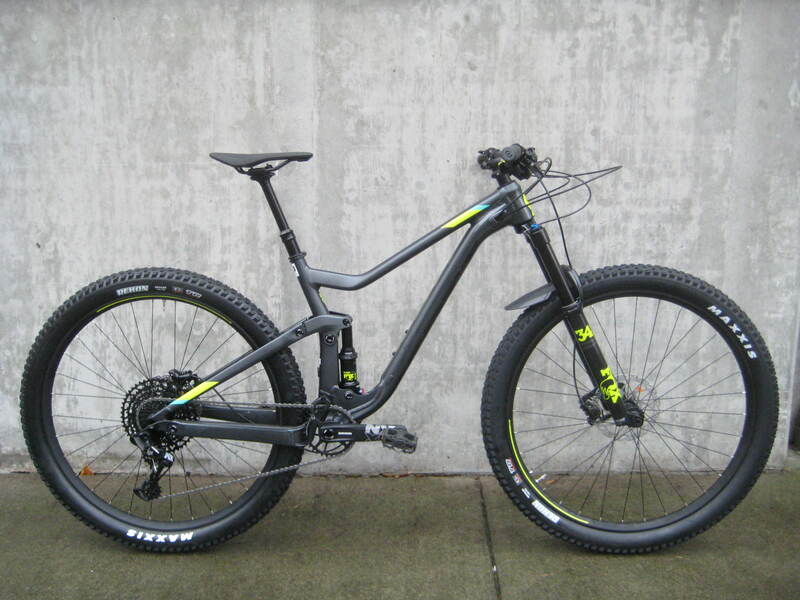 If black-diamond level trails, ski-lift access, big jumps and insane speed are your thing, we have a bike for you. 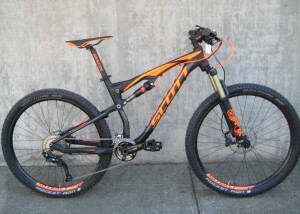 Right out of the box these bikes are ready for anything Whistler or Steven’s Pass can throw at you. 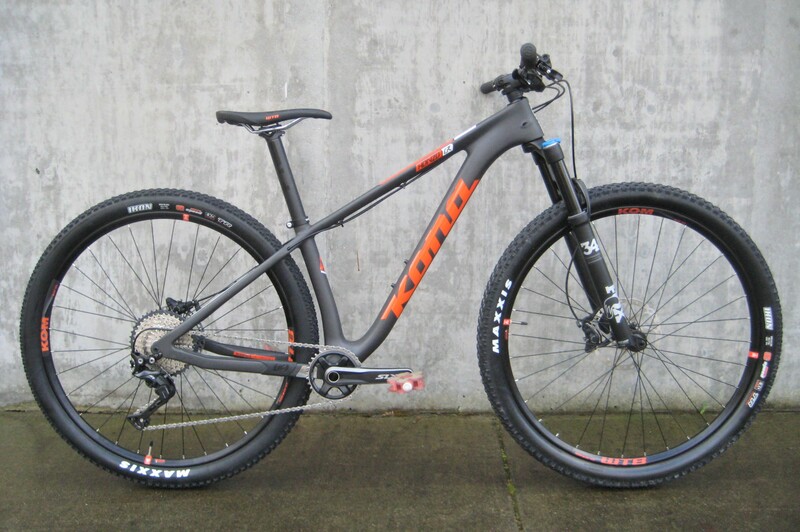 They come stock with dropper posts, meaty tubeless tires, single-chainring bomb-proof drivetrains (like Sram Eagle 1 x 12) and long-travel suspension. There are nine Process variations to choose from. How do you choose? 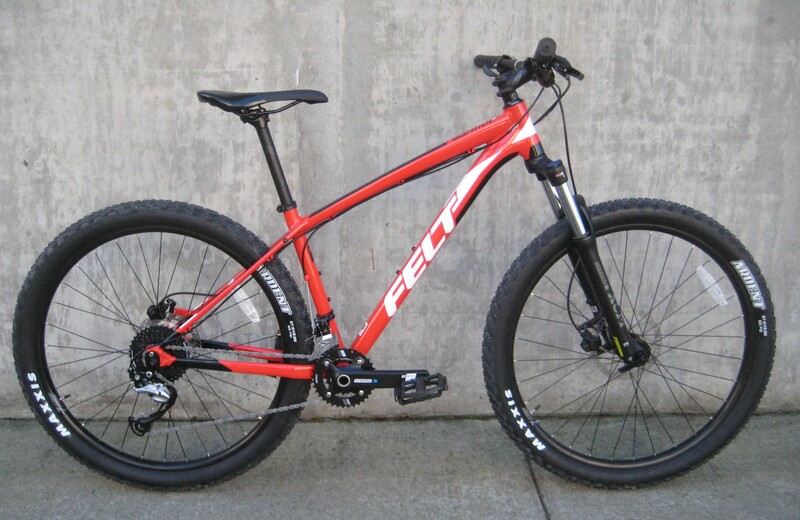 Pick your wheel size: 27.5” or 29”. 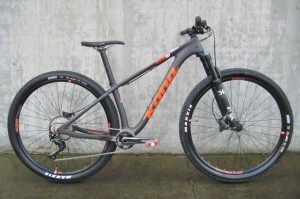 Decide the balance of trail capabilities that you want: A downhill and stunt oriented version with lots of travel? 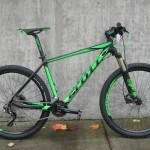 A light and nimble everyday trail bike? Something in between? It’s a fairly straightforward decision by choosing the amount of rear suspension travel from 134mm to 165mm. 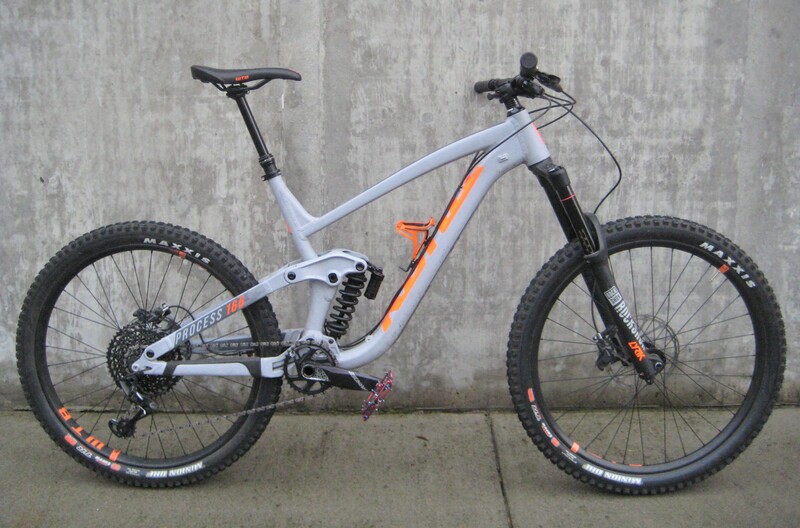 With aluminum models starting around $2000 and carbon fiber versions with premium equipment topping out at $6K, there’s bound to be a bike that you like. 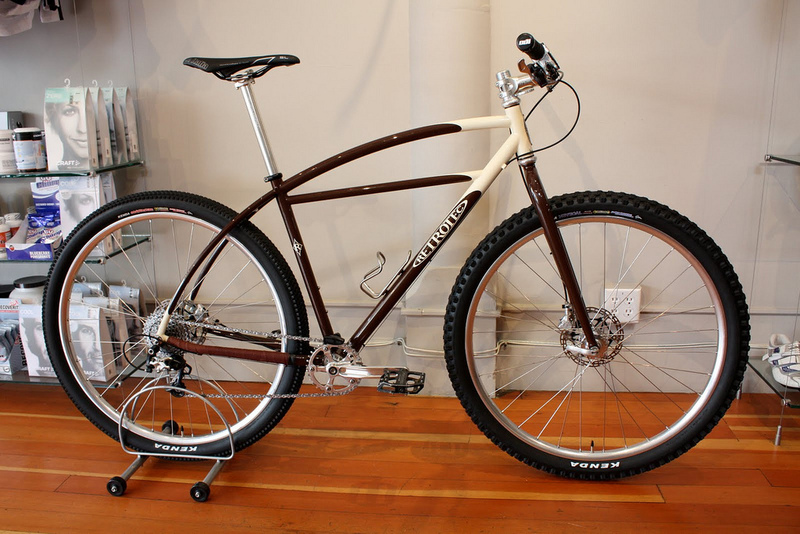 Kona’s Honzo models were made for the Pacific Northwest. 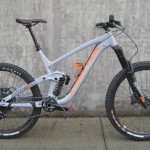 The idea behind these bikes was to use specific frame geometry, long-travel front forks and really big volume tires to create nimble hardtail mountain bikes that have the same capabilities as 5″ travel full-suspension trail bikes. Kona started by kicking out the front ends, slackening the head angles to add stability and make room for long 120mm travel forks. 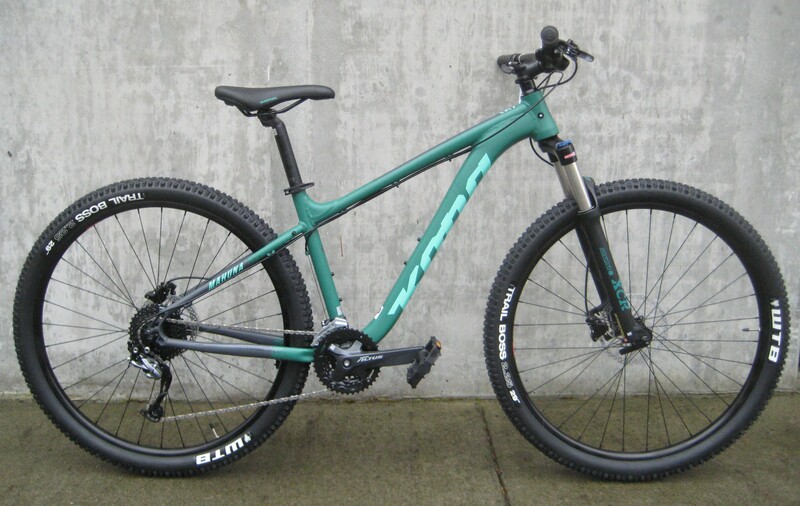 The chain stays are made pretty short on these bikes, tucking the rear wheel under your center of gravity and bringing the overall wheelbase length back into line. These designs probably wouldn’t work somewhere with sticky clay soil (there’s not a lot of clearance between the fat rear tires and the frame tubes) but we don’t have that problem around here, so the Honzo’s design works perfectly on Pacific Northwest singletrack. 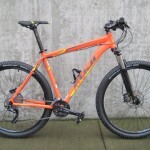 There are high performing carbon-framed Honzos to choose as well as aluminum versions that are plenty light and easy on your budget. 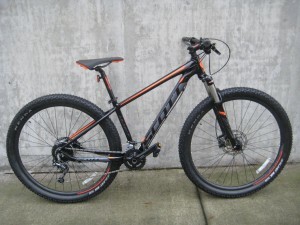 Choose a model with 29″ tires if speed is what you’re after or wide 27 Plus tires if you want greater cushion or help with obstacles. The component picks are designed for maximum fun. 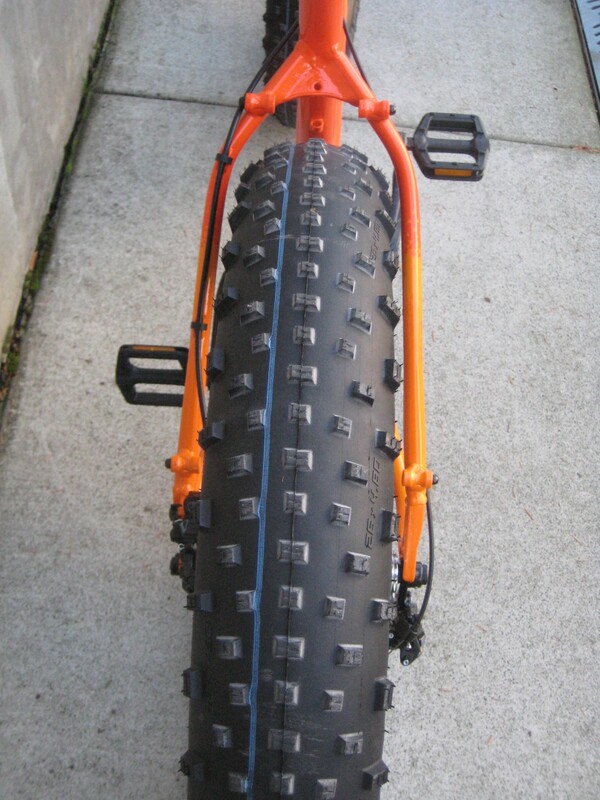 Fat Schwalbe Knobby Nic or Maxxis Ardent tires will give you enough traction to ride up glass walls. 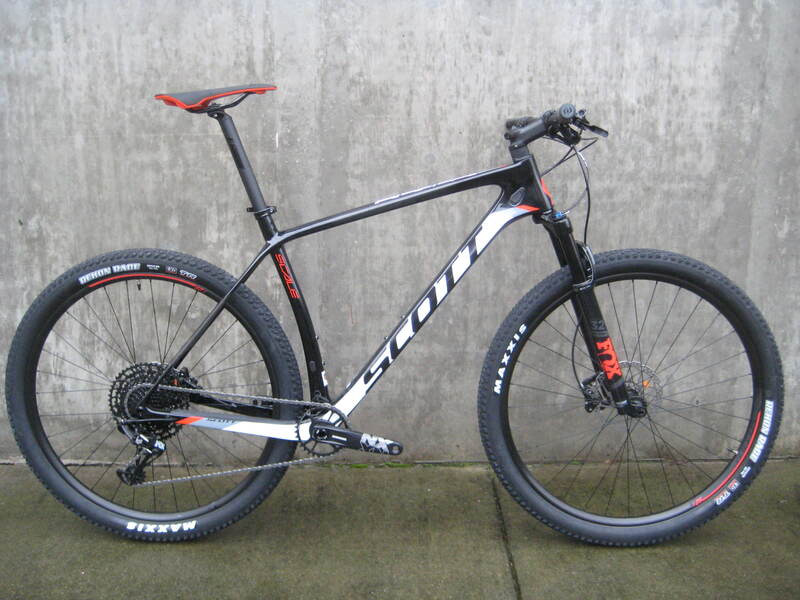 You get Sram or Shimano 1 x 11 drivetrains, Dropper seat posts (on most of the versions) and burly wheels with boost spacing for maximum stiffness. 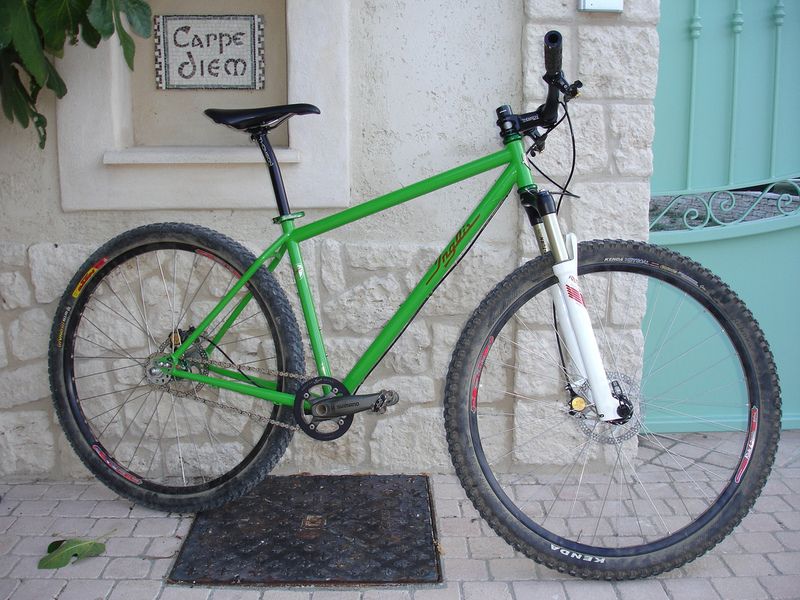 These bikes will give you very little fuss over the years and they expect nothing in return but mud and abuse. Not too small. Not too big. 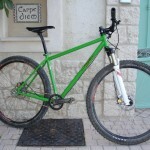 Kona’s Fire Mountain hardtails are just right. 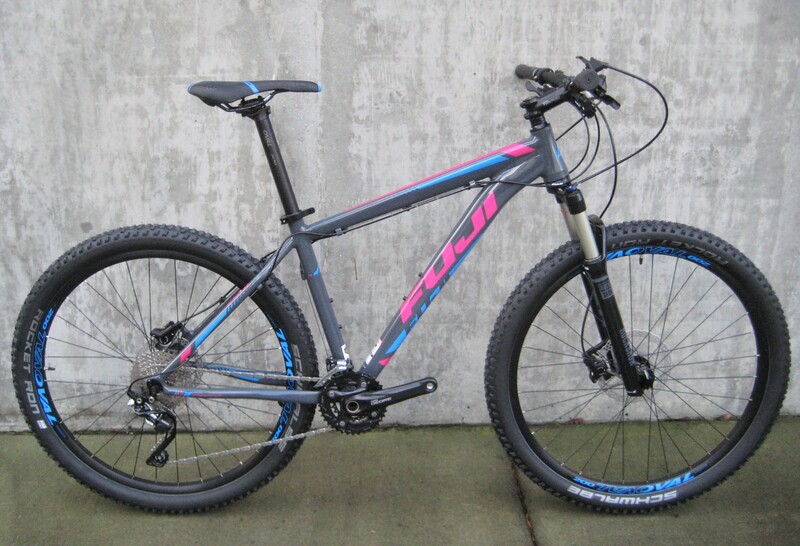 Built around 27.5″ wheels, these bikes are just the right combination of fast and capable. 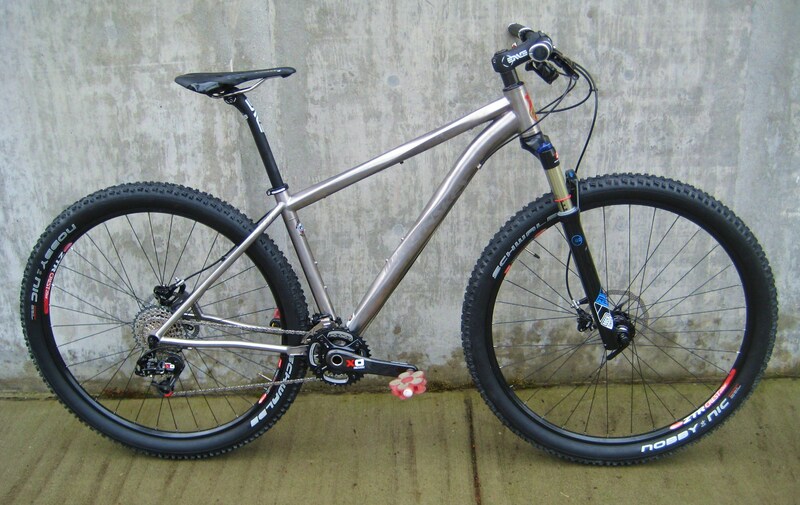 The in-between wheel size is incredibly versatile in the varied conditions that you’ll find on local trails. 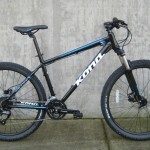 These Konas will roll over mossy roots with ease (just like bigger 29″ wheeled bikes), but you’ll have more fun on tight and twisty trails as these bikes accelerate and change direction much more quickly than bigger wheeled bikes. 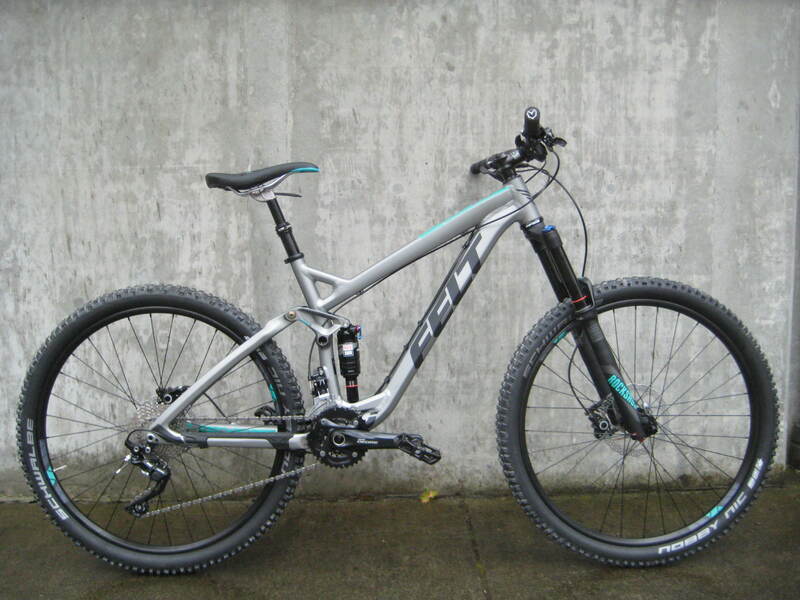 Speaking of things that happen to be just right, the equipment level and price also seem to hit sweet spots for a lot of riders. 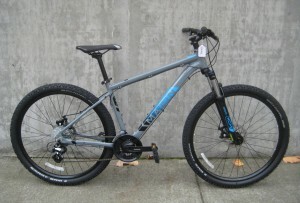 These Konas are not beginner-only bikes intended for the street or an occasional run on the Burke-Gilman trail. 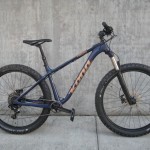 At the same time, they’re inexpensive and versatile enough to be employed by new mountain bikers who aren’t sure where, how, or how often they’ll hit the dirt. 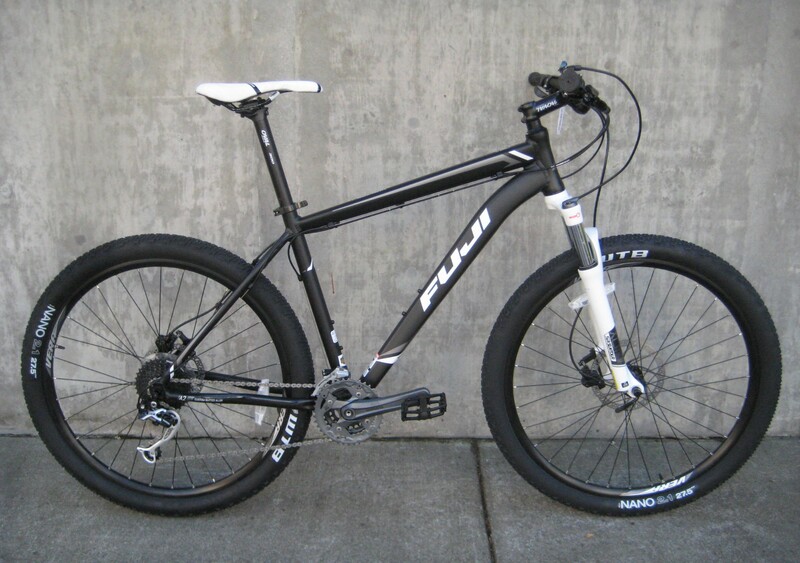 Take the suspension fork for example: the Suntour XCR version on this bike is still a coil-spring activated fork like on most “entry level” bikes, but it has 32mm aluminum sliders instead of smaller-diameter chromed steel ones, saving a full pound of weight and avoiding some of the corrosion issues common to chromed forks. The fork also has a tapered steerer tube, a light and rigid design common to more expensive bikes. These are good upgrades, ones that usually get skipped over on the way to bikes in the $1000 price range. What else? 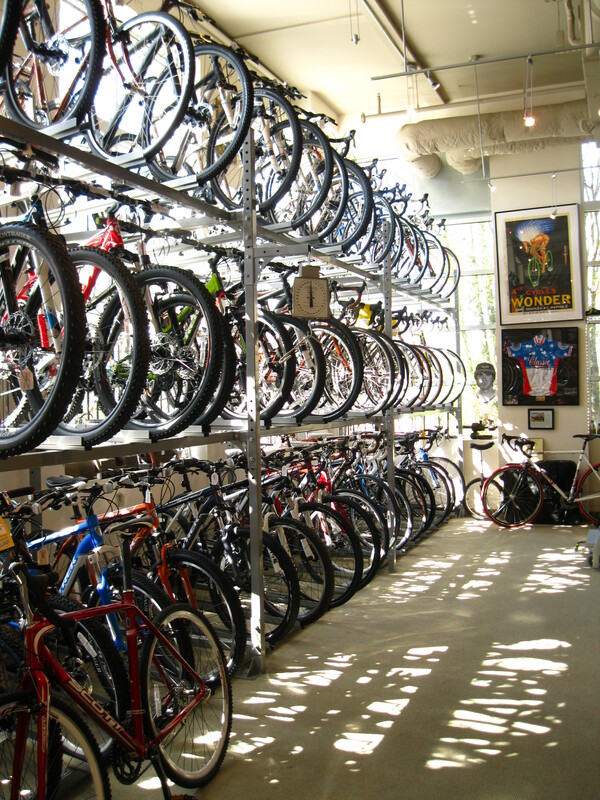 You get a 9-cog cassette on the rear wheel instead of eight, a Sram crankset with replaceable chainrings, aluminum pedals instead of plastic ones and Shimano hydraulic disc brakes. 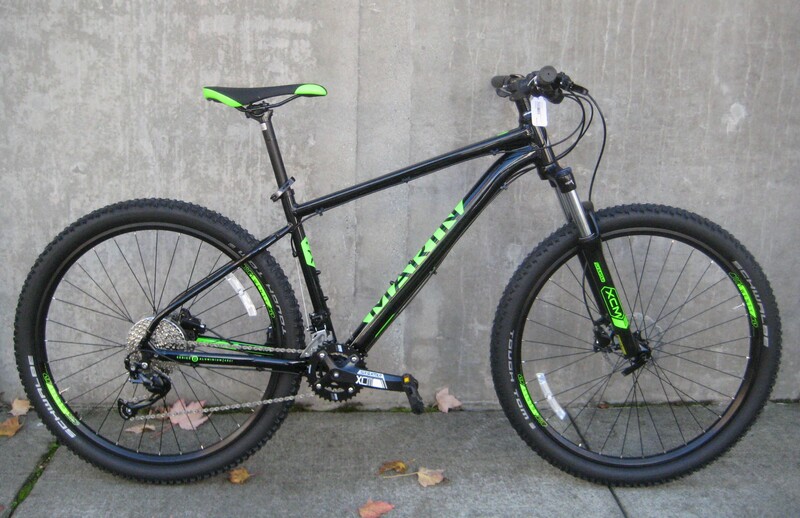 All on a bike priced under $800. 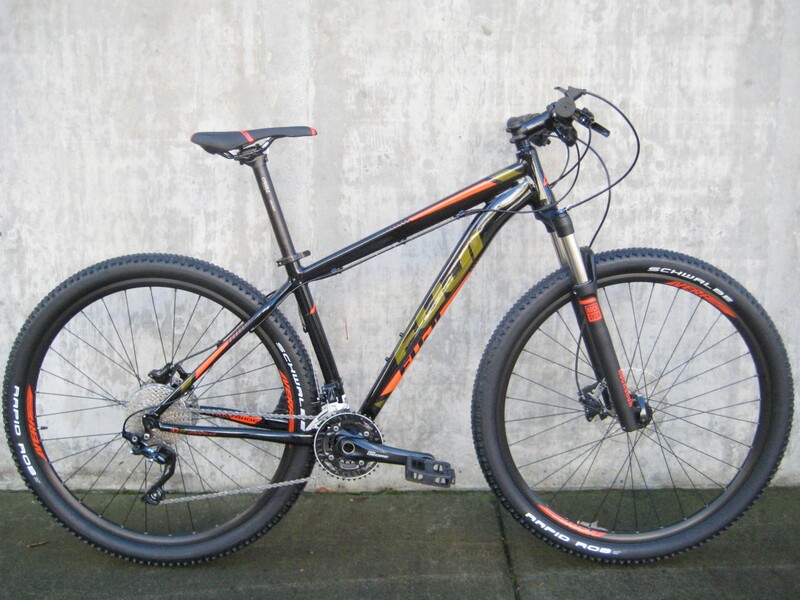 Here is a great option for getting into mountain biking without spending a lot of money. 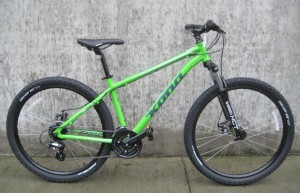 The Kona Mahuna gives you all of the features that you’ll expect to find on more expensive 29″ wheeled hardtails. 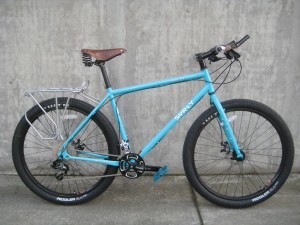 The frame is made from light-weight aluminum tubing, the fork has a lockout, stout tapered headtube and light aluminum sliders, it comes with mid-level Shimano drivetrain components and reliable Shimano hydraulic disc brakes. 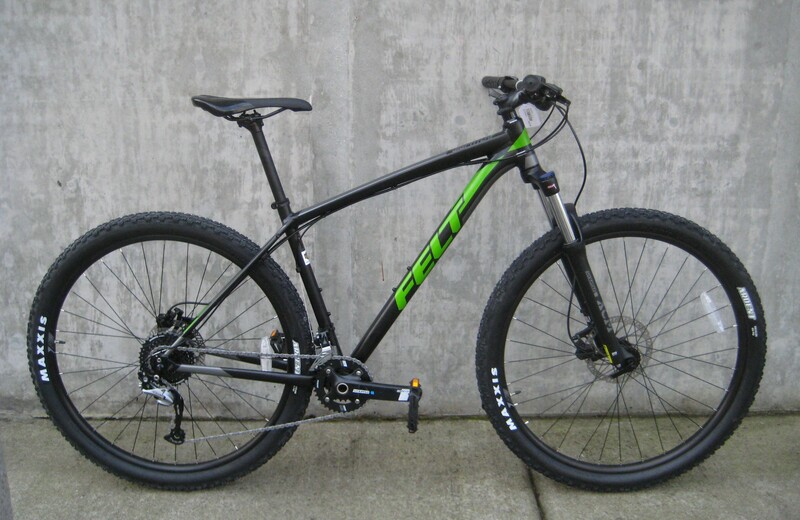 Coming in around $800 dollars, this is a great option for new off-road riders and cyclists who are quickly growing (in size or skill level). The Mahuna comes in sizes that will fit riders under 5’6″ who still want the big 29″ wheels as well as sizes for taller riders. This bike isn’t entry level, and it’s not so specialized that it’s a drag on the “wrong” type of trail. The Cinder Cone is the top of the bell curve, a spot where you get the most for your money, the most versatility, all of the features, and great durability. 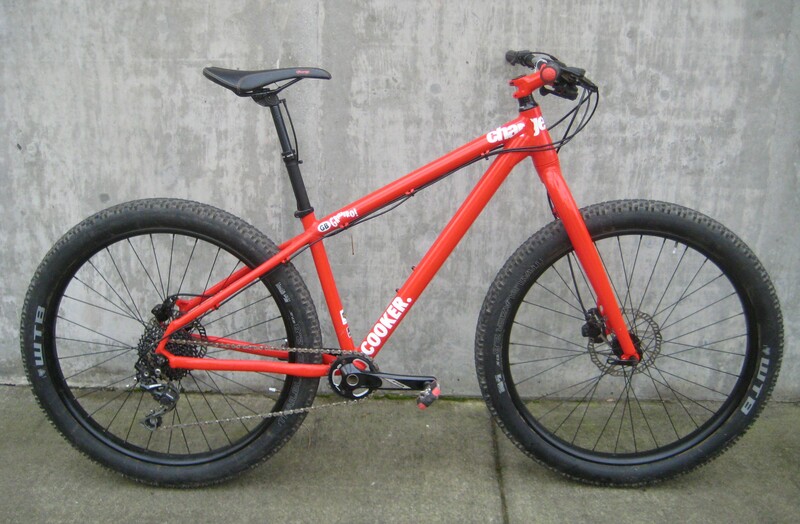 The Cinder Cone gets you into all of the design elements that you want. 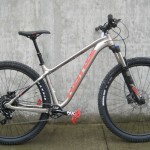 There’s a Rockshox air-sprung RL Gold fork. 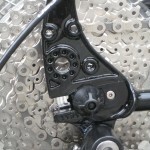 There’s the Sram NX 1 x 11 shifting system. 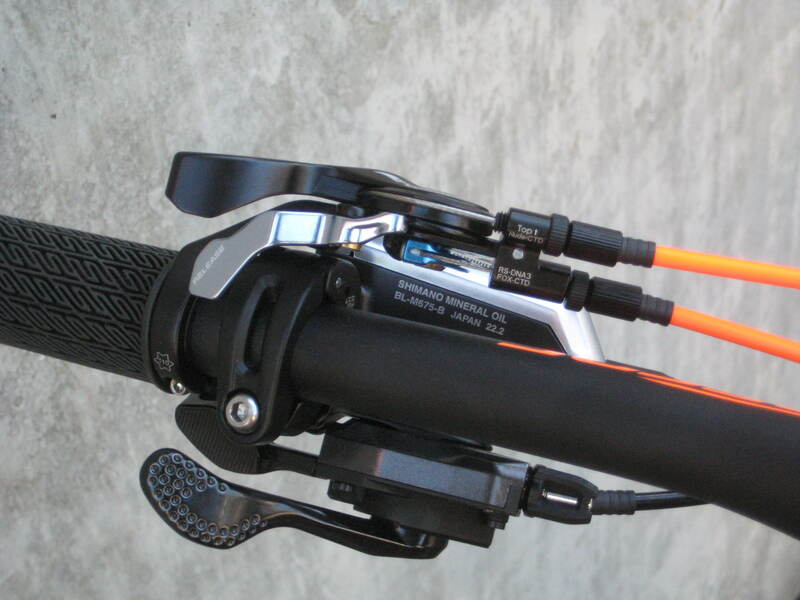 Shimano MT500 hydraulic disc brakes. 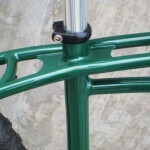 A WTB Volt saddle. 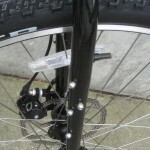 Schwalbe Knobby Nic tires. 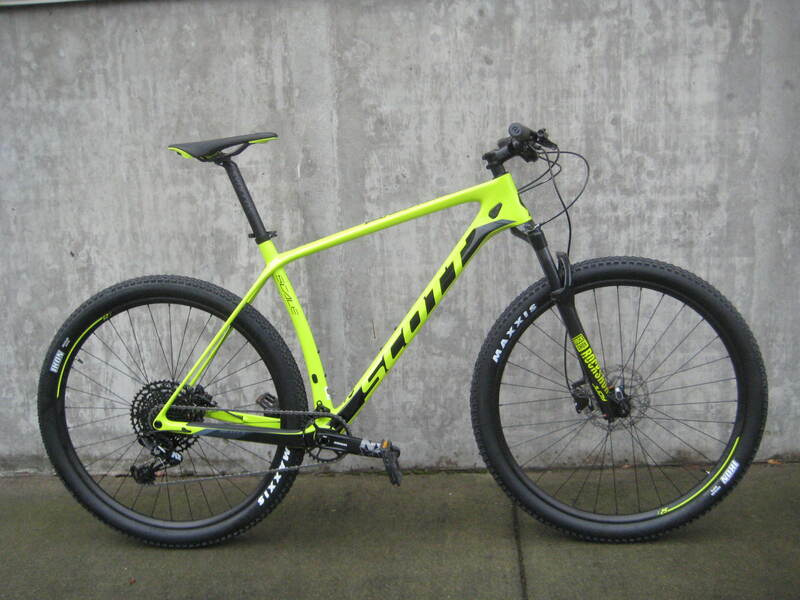 No dropper seatpost, but with the money that you’ll save on the Cinder Cone you should have the cash leftover to get exactly what you want.. 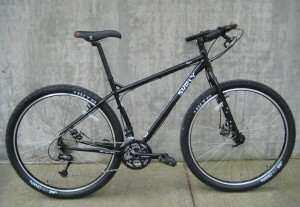 It can be gravel paths, easy singletrack trails through the Grand Forest, the Mandus Olson trail on your way to school. 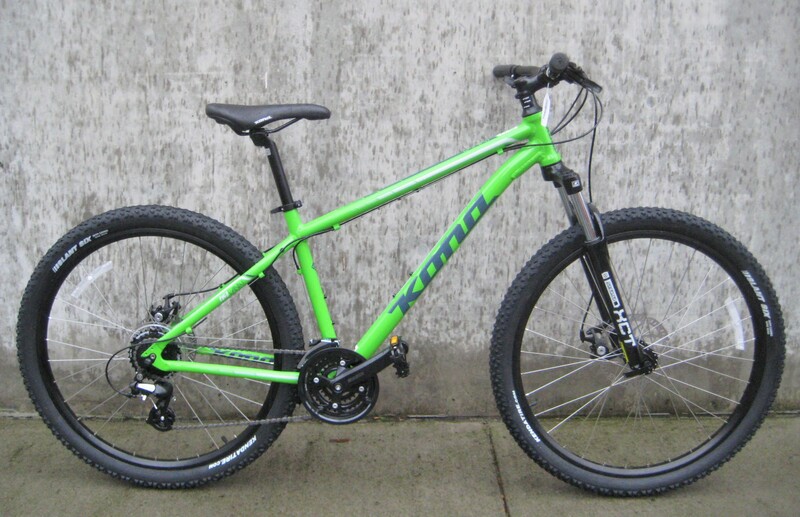 Your definition of great mountain biking adventures can even include a paved ride around town, whatever you like, the Kona Lana’i is a great way to start your adventure. The Lana’i comes equipped with WTB 27.5” tires than can handle a variety of terrain. 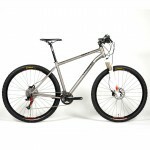 You get disc brakes, front suspension, a Shimano Altus drivetrain and wide riser bars. 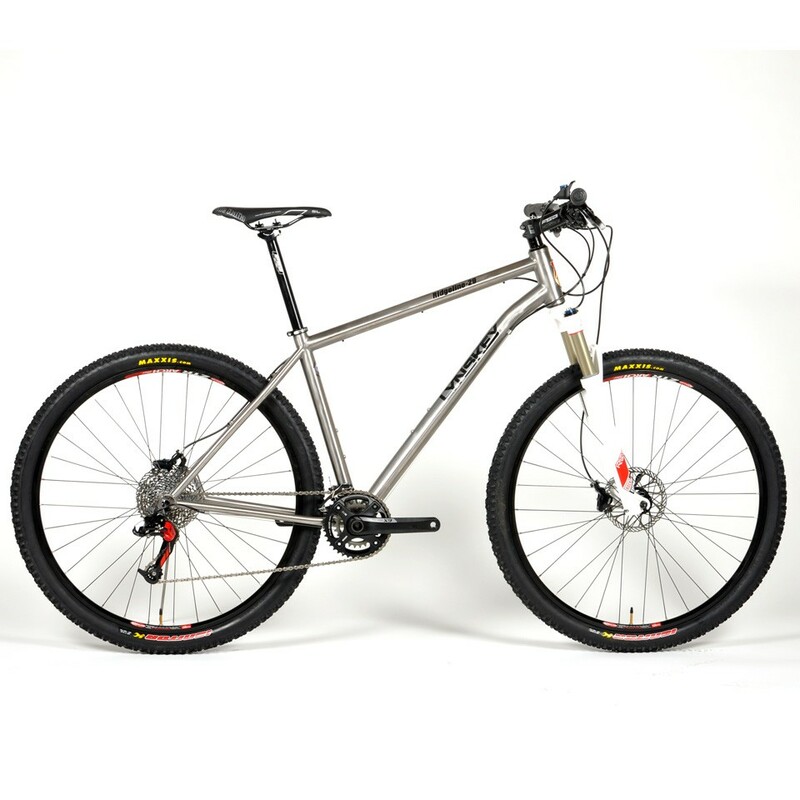 It’s all bolted to a strong and quick-handling aluminum frame. 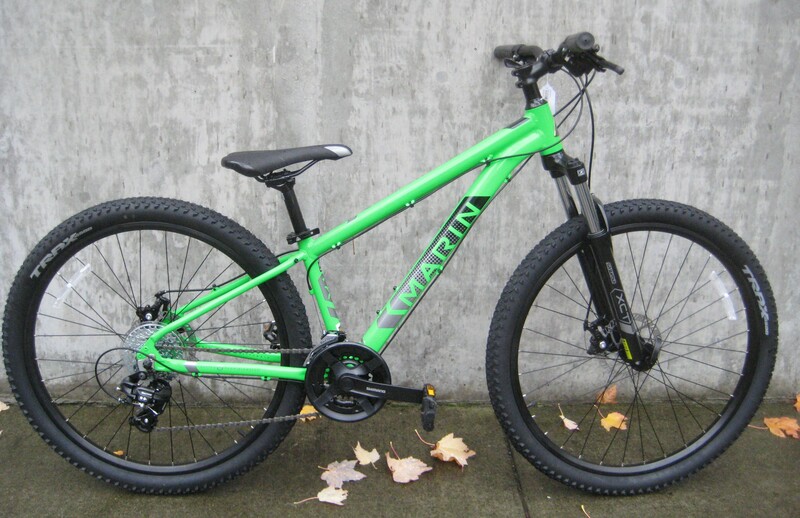 Marin makes a bunch of premium-level bikes that seem to be missing the premium price. 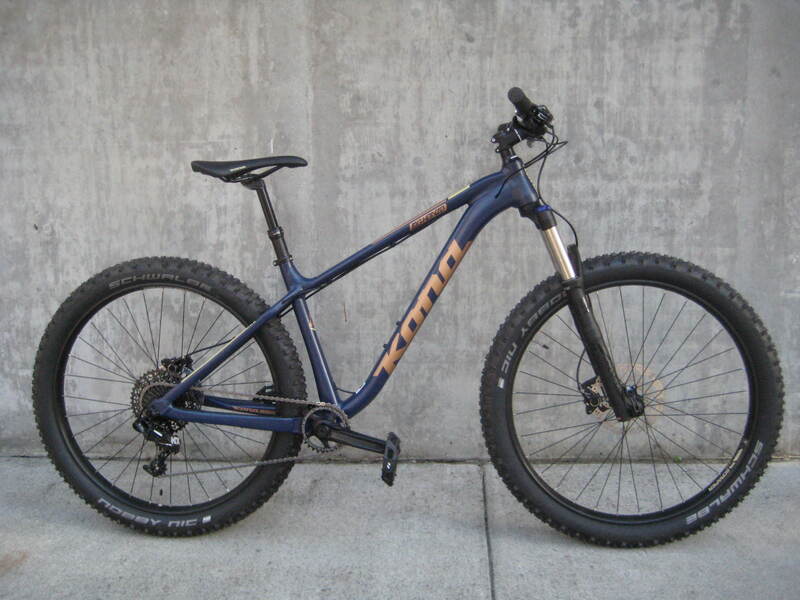 Take the Bobcat Trail 4 for example: It’s a great looking hardtail with awesome parts. 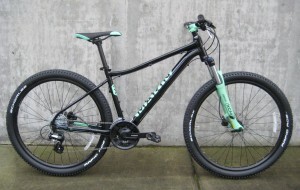 The bikes come with short stems and wide bars for maximum handling and obstacle jumping fun, with 100mm travel forks and slackened front end geometry. 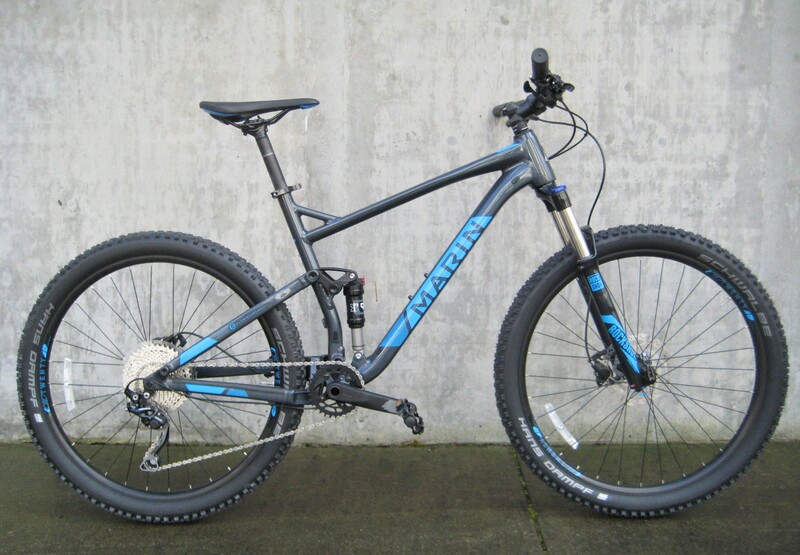 They are created to be more versatile and playful than your average mountain bike. There’s a Suntour XCM fork with the hydraulic lockout switch on the top. 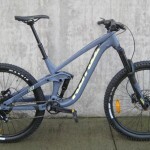 There’s a Shimano Altus drivetrain. Regardless of the size bike that you get (with 27.5″ or 29″ size wheels) you’ll roll around on premium Schwalbe tires. 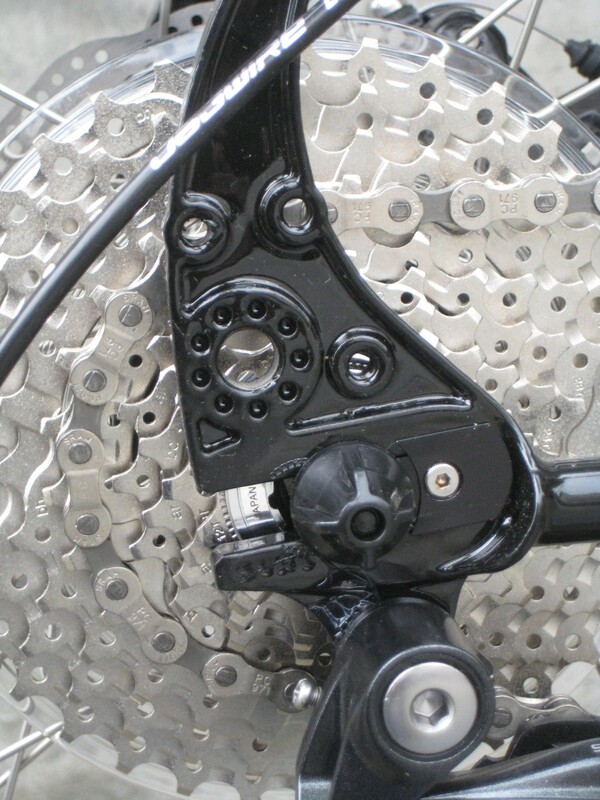 The disc brakes are Tektro hydraulics which you’ll find on bikes in the $1600 range. 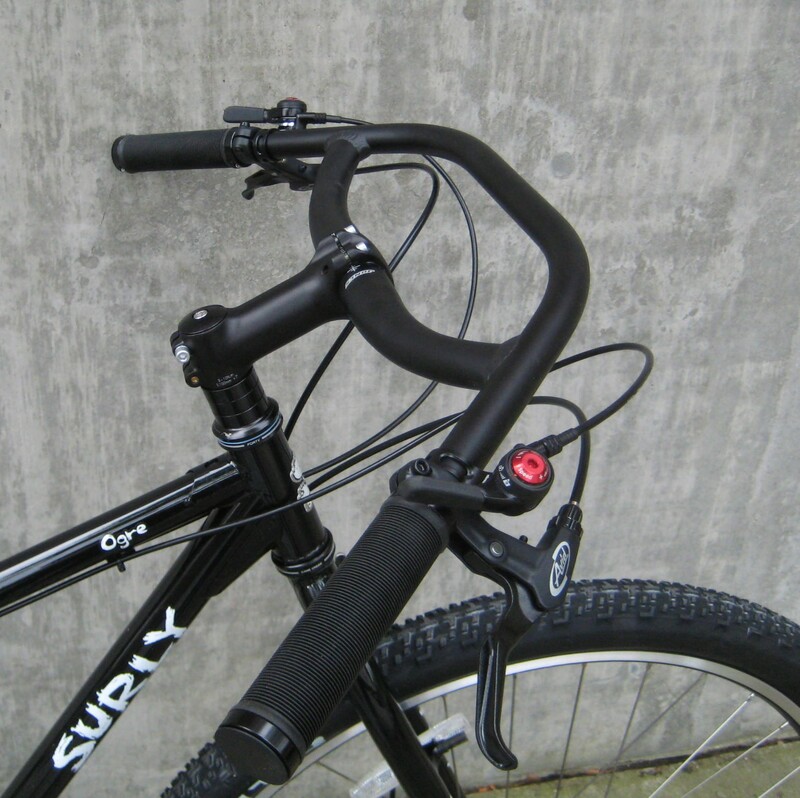 The cables are fully shielded, with housing running from the levers all the way to the derailleurs (a nice touch that keeps your shifters running smoothly). The cockpit components are all robust, feather light and colored to match the bike. The Bobcat Trail 4 looks and rides like an excellent $800 mountain bike. The surprising thing is that it’s about $600. By the way, the folks at Marin named these bikes after the Bobcat trail system near Sausalito, California. If you feel like riding your Bobcat Trail on the Bobcat Trail (in Marin County, essentially the birthplace of mountain biking), let us know and we’ll give you directions to get there. 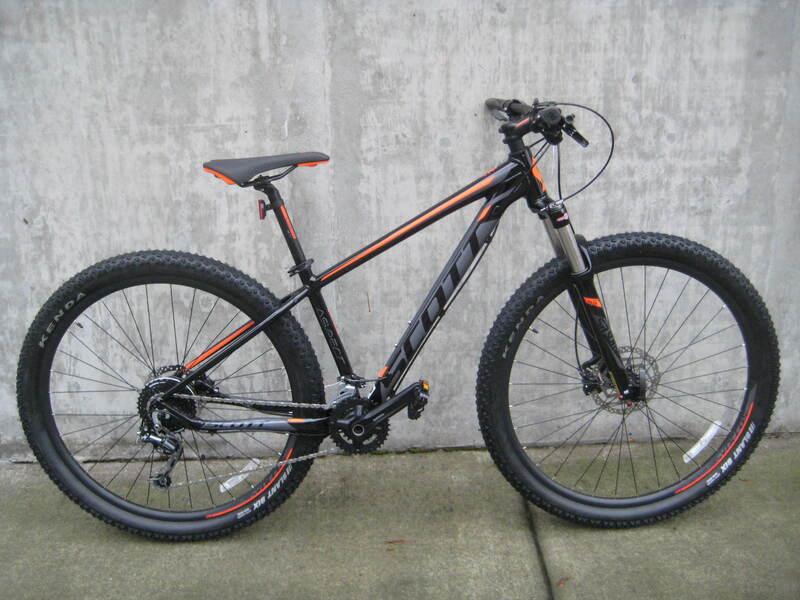 Okay, so it turns out that these mountain bikes with the “Plus” size tires are a lot of fun. 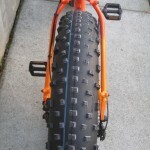 We were originally pretty skeptical, thinking that the 3″ wide tires looked an awful lot like snow bikes and they seemed to be pretty slow. 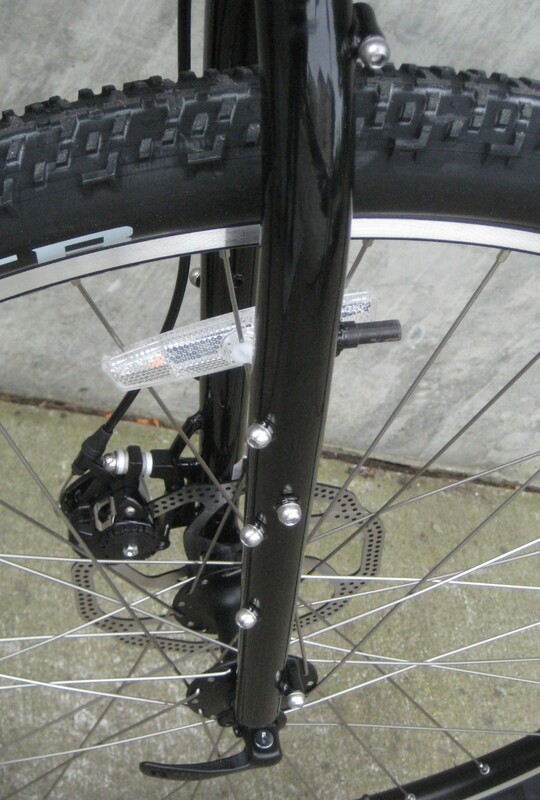 It turns out that a 27.5″ x 3″ tire feels pretty similar to a 29″ x 2.3″ tire. 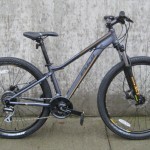 That means they’re pretty fast, reasonably light weight and they roll over roots and rocks that normally would stop your bike dead in its tracks. The reason your would prefer a bike with smaller diameter 3″ wide tires is that the wheelbase is a little shorter than that of a 29′er, and you feel a little lower to the groun when you’re up on the saddle rolling around. 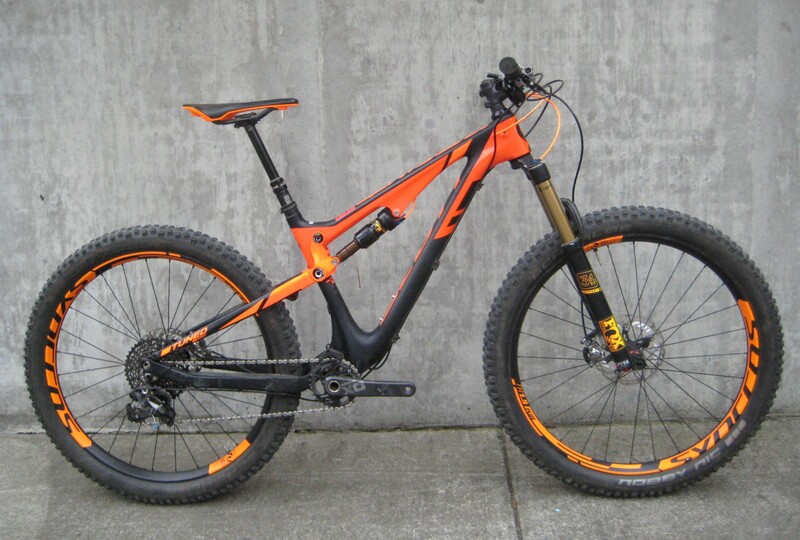 What you get is a bike that handles better than most 29′ers, with almost as much traction as a snow bike and one that flits around and rolls down forest singletrack as easy as you can imagine. Not too small. Not too big. Not too expensive. Just right. 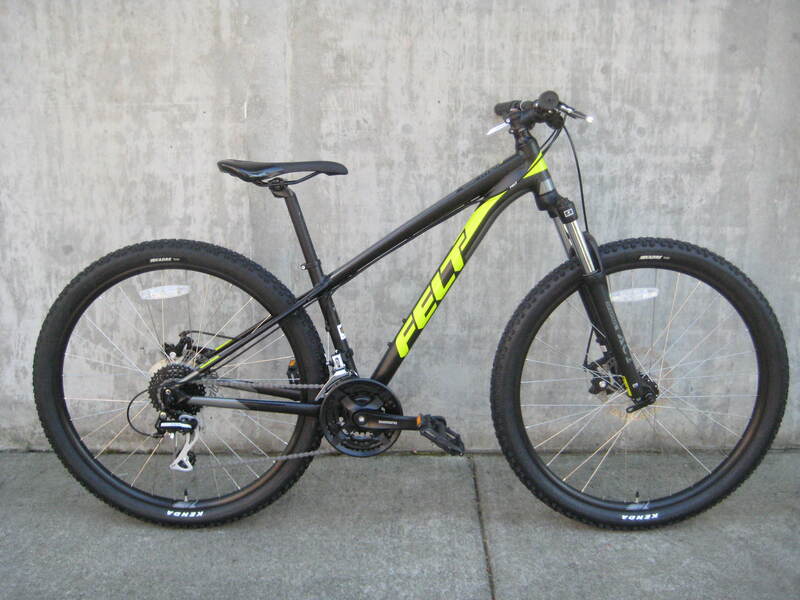 Built around 27.5″ wheels, this bike is just the right combination of fast and capable. 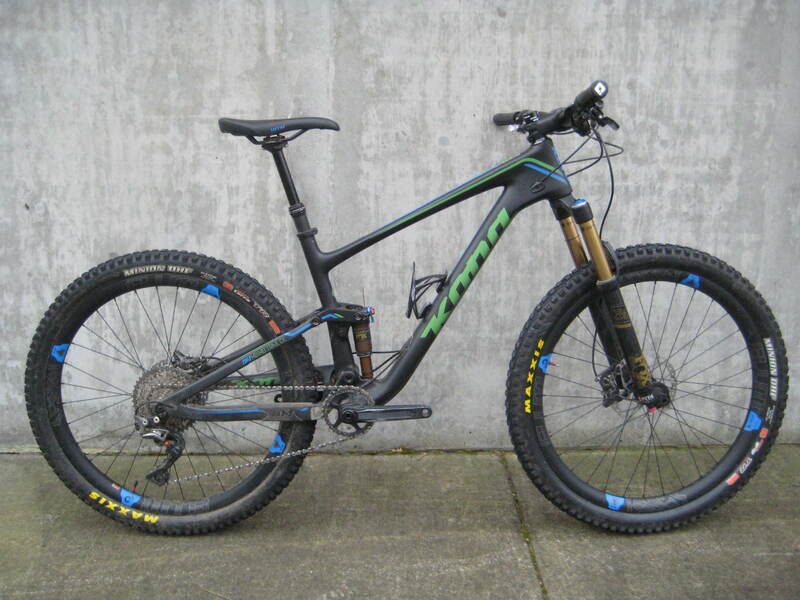 The in-between wheel size is incredibly versatile in the varied conditions that you’ll find on local trails. 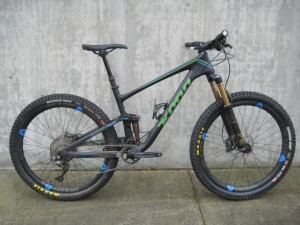 The Blast will roll over mossy roots with ease (just like bigger 29″ wheeled bikes), but you’ll have more fun on tight and twisty trails as this bike accelerates and changes direction much more quickly than bigger wheeled bikes. Notice that the Blast looks a little different? 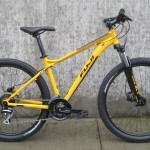 The bike comes with a short stem and wide bars for maximum handling and obstacle jumping fun, with a longer travel fork and slackened front end geometry. They are created to be more versatile and playful than your average hardtail. 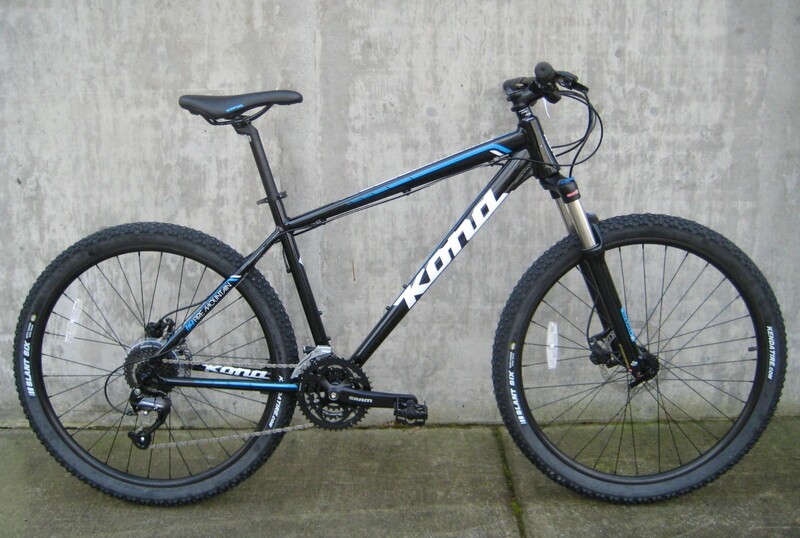 By the way, the folks at Kona aren’t designing bikes for Hawaii’s trails, they’re neighbors here in the Pacific Northwest. If you feel like riding your Blast on it’s home trail system, let us know and we’ll give you directions to their Bellingham headquarters and the woods where the designers play with their bikes. 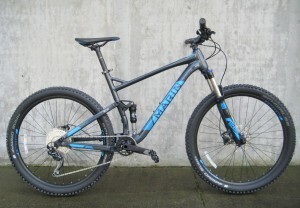 Don’t judge this bike too quickly. 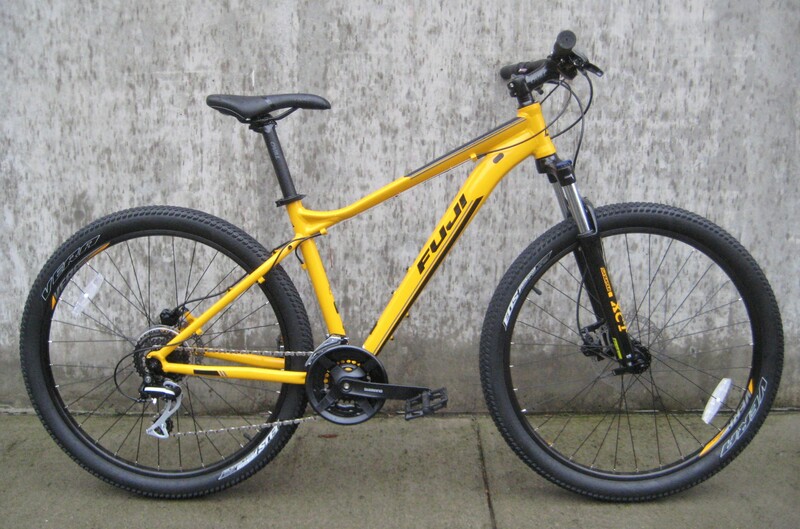 It looks a little weird, like maybe a snow bike mated with a BMX bike from 1982. You probably think that it wouldn’t be right for anything except riding wheelies down the block. 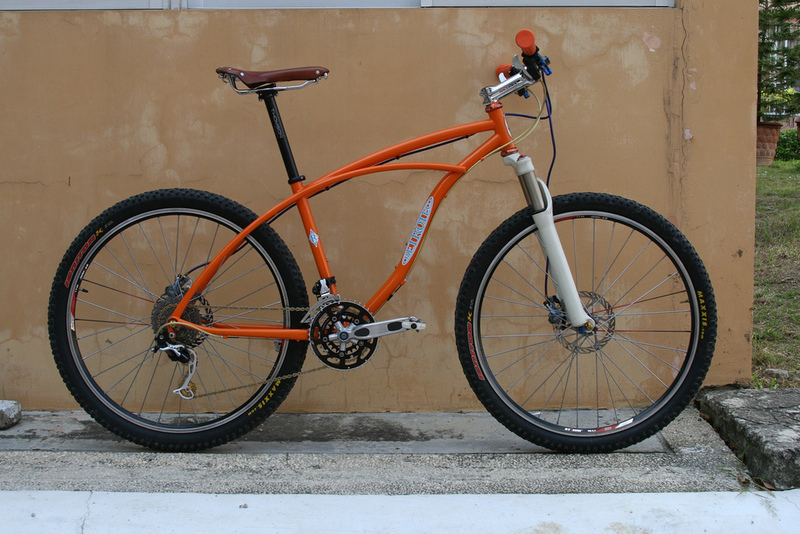 This bike would surprise you. 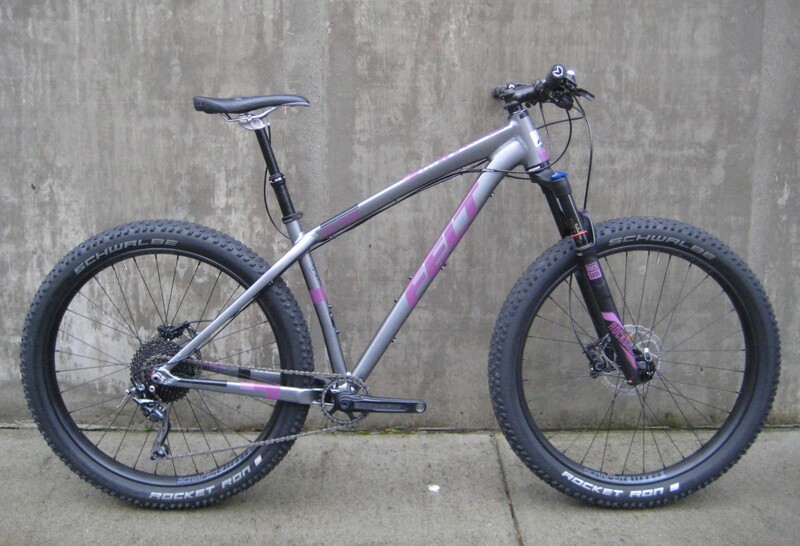 The OM Duro comes with 27.5″ plus-sized tires that can handle any terrain from asphalt to powdery sand. 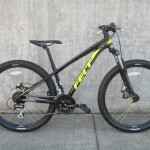 The Sram 1 x 11 drivetrain makes most off-road riding fun and easy and the tubular steel BMX cranks are made to handle jumps and general abuse. 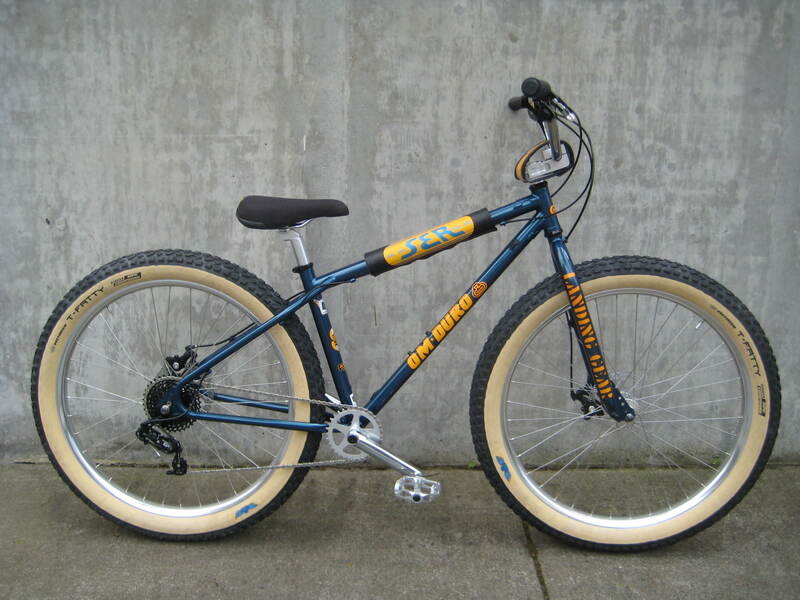 Unlike an actual BMX bike from 40 years ago this one actually stops thanks to the disc brakes and is actually pretty fast thanks to the big wheels. To us, the OM seems like the perfect bike to ride over to the I-5 colonnade park in Seattle and goof around. Maybe cruise the Hilltop trail to Battle Point park and ride the new pump track. Really a perfect choice for The Pacific Northwest. 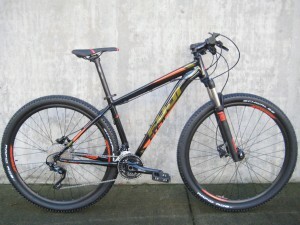 Stable and capable enough for the trickier trails at Whistler, Stevens Pass and Duthie Hill. 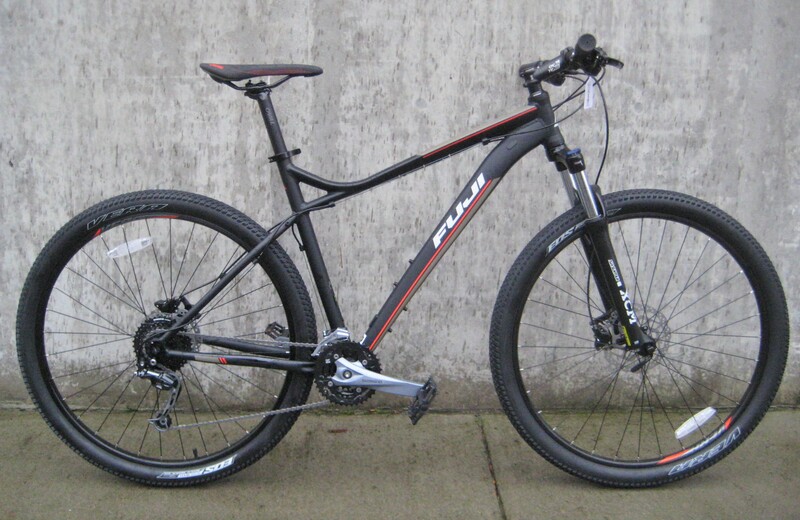 Tough enough to handle mud and months of rainy trails. 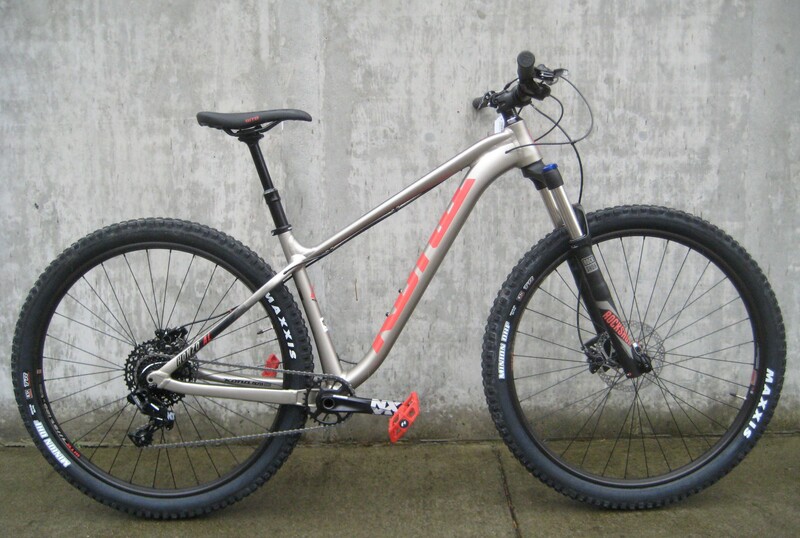 Agile and fun on twisty singletrack while still riding efficiently on smooth logging roads. 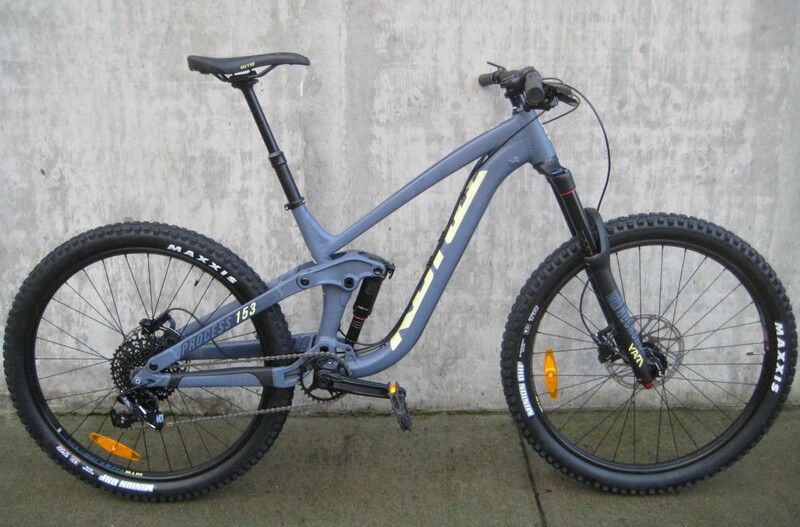 While there are a couple of different levels of Hei Hei mountain bikes, the Trail Supreme is a fantastic choice. 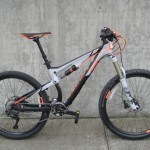 You get a carbon frame, a dropper post, premium Fox suspension and Shimano XTR components. 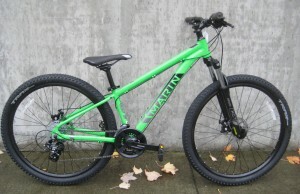 If you’re looking for a fun and capable trail bike that won’t break your budget, look at this Marin. 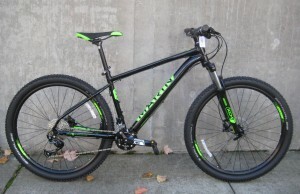 This is Marin’s Hawk Hill full suspension trail bike. 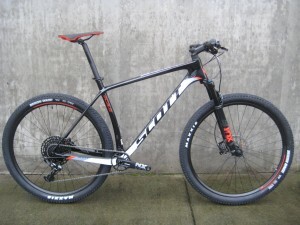 It’s a gas to ride, comes with some pretty great parts and is all yours for only $1499. So what do you get for your money? 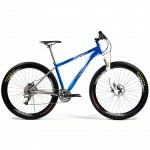 You get a playful and tough design that you’ll love to take on twisty and technical singletrack trails. 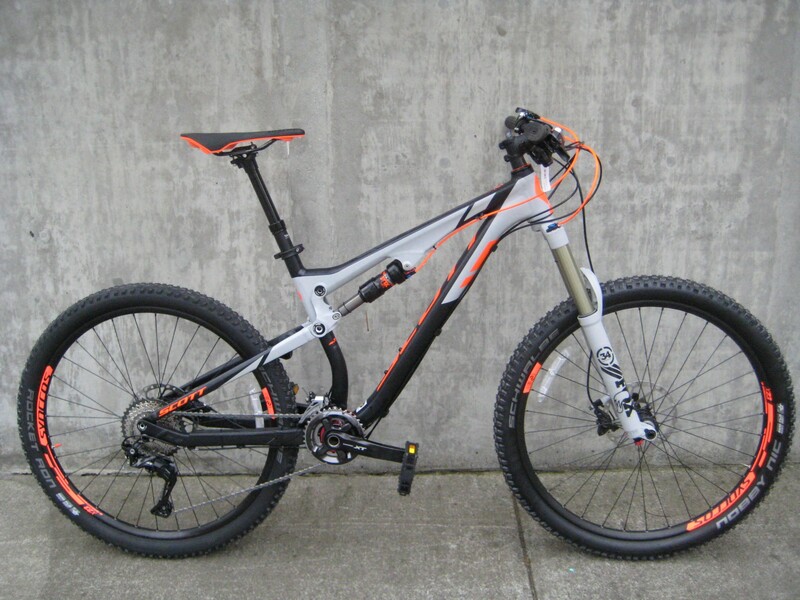 You get a trail bike with 120mm of suspension travel (front and back). 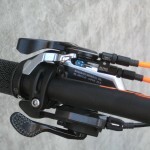 You get the RockShox Recon air-sprung fork with adjustable spring rate, rebound and a lock-out switch. 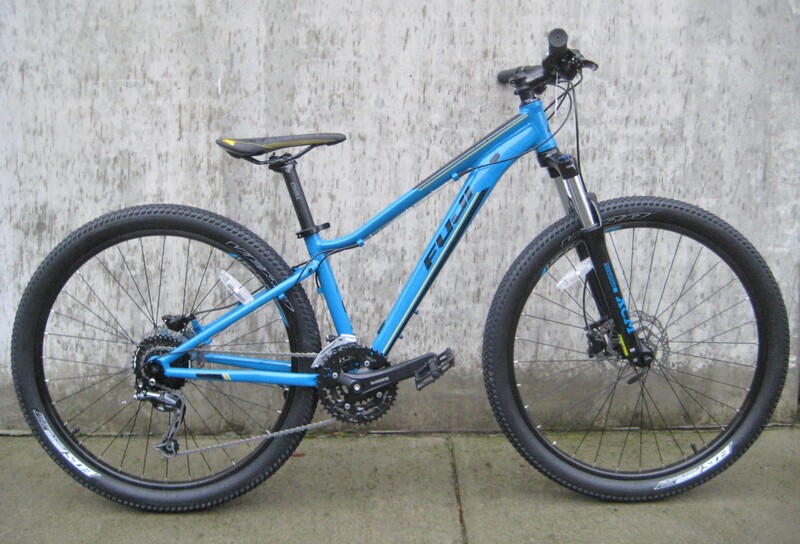 A bike that rolls on 27.5″ wheels shod with Schwalbe Hans Dampf tires and a Shimano Deore 1 x 10 drivetrain. 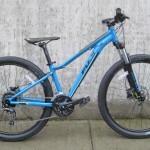 There’s Shimano hydraulic disc brakes and cartridge sealed bearings in the headset, bottom bracket, frame pivots and wheels. 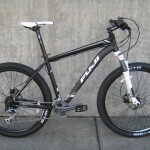 If you’ve been looking for a full suspension bike under $1600 you’ve probably found a lot of heavy bikes out there with at least one component or design element that looks a little suspect. 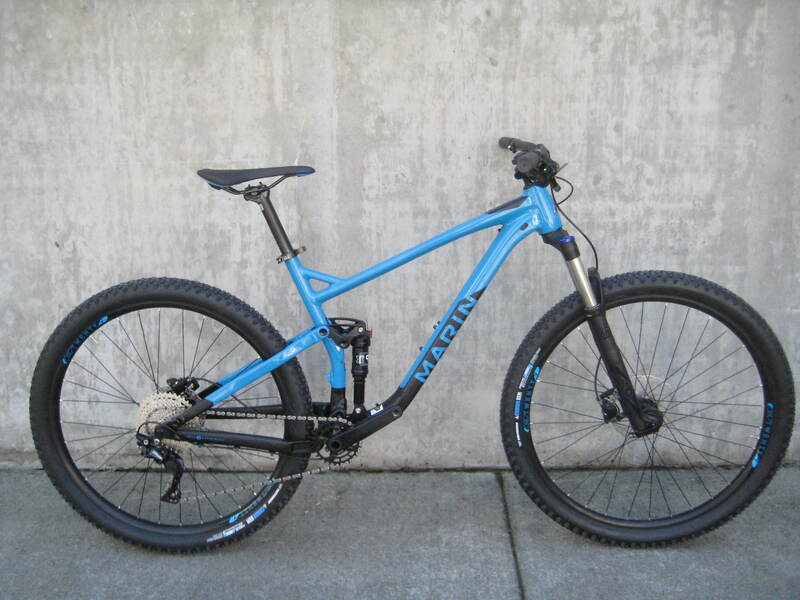 Maybe you’ve found used full suspension bikes that were a whole bunch of worn-out parts rolling around on ten-year old suspension designs. 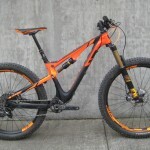 Worse than those, you probably found new bikes that were basically down-spec’d race bikes that were no fun to play around on and too heavy to actually race. 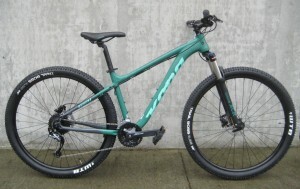 This Marin will beat all of those “options” with great handling, fresh design, outstanding components and light weight (the medium size bike weighs 29lbs). 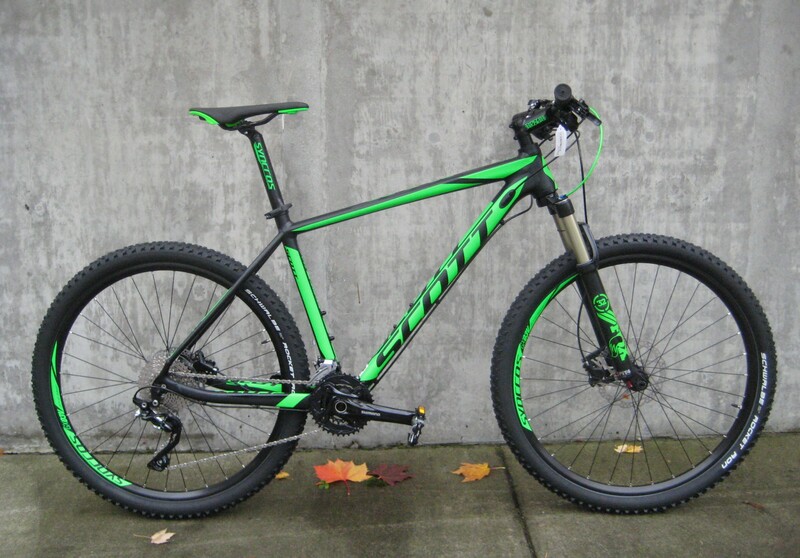 Stop looking for your next trail bike. You’ve just found the one you’ll like best. 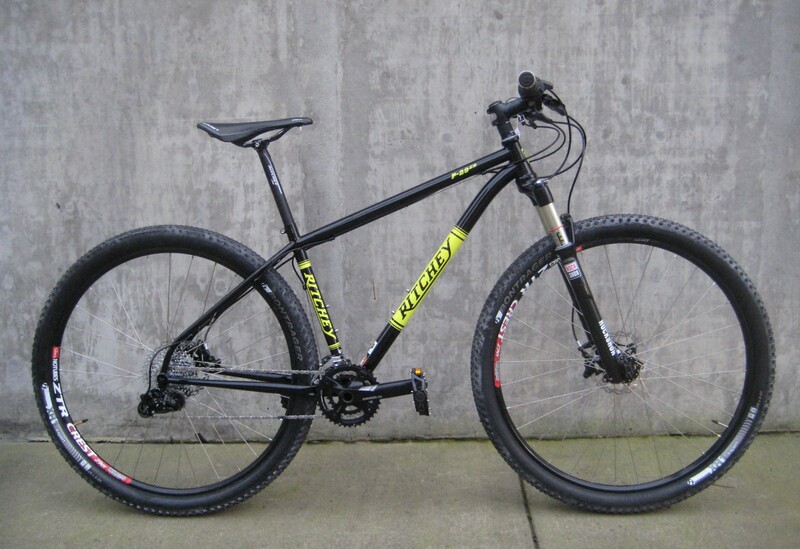 The Wildcat Trail 3 and 5 are great mid-level mountain bikes that will work well for the off-road beginner and occasional rider. They are built around 27.5″ wheels that have tremendous traction and roll over larger obstacles without a second thought. 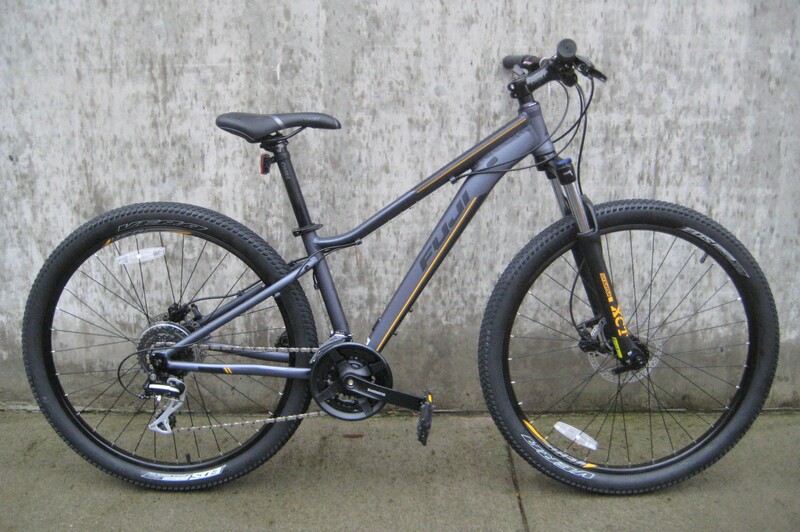 The Wildcat Trail 3 is a fast and durable bike that will stand up to the rain and mud for many seasons. 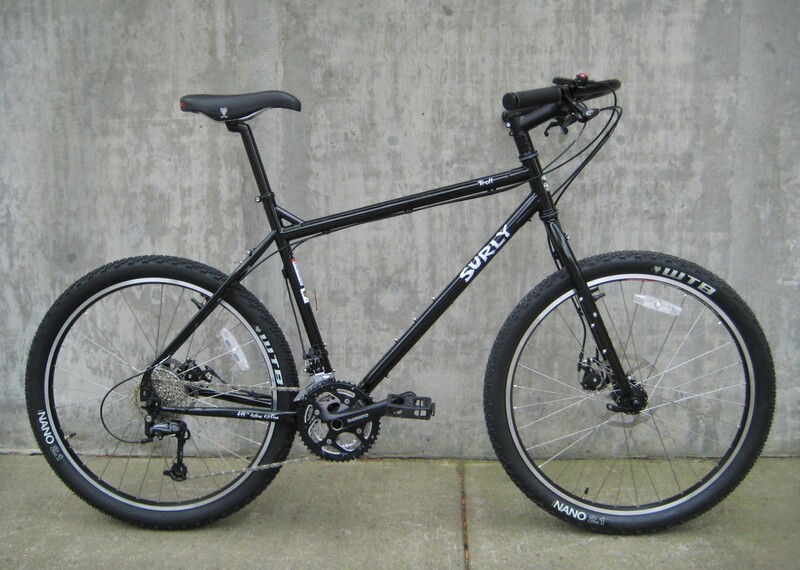 You get awesome Schwalbe tires, Tektro hydraulic disc brakes, A Shimano Alivio drivetrain (with cables that have housing that runs uninterrupted from the lever to the derailleur, a nice touch), and 100mm-travel Suntour suspension forks with hydraulic lock-outs. 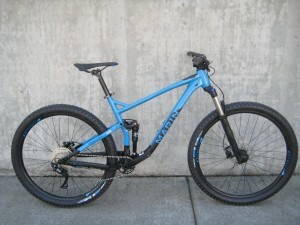 The Wildcat 5 version boosts the component level. 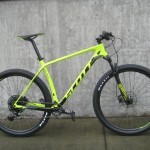 Marin tweaks the off-road performance with a 1 x 10 Shimano shifting system, lighter weight component materials and better seals for resistance to mud and water. 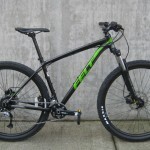 Practical, for a lot of our local trails, they’re not. What the heck, practical isn’t everything. Nobody said that you needed four-wheel drive, 30″ of ground clearance and internet service in your car either. You still have fun driving to the grocery store in your Hummer H2. 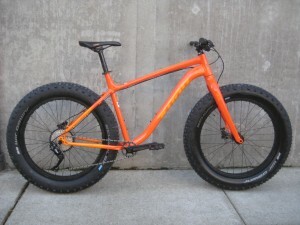 Yeah but the thing is, you want to play around on the trails or try to cruise the beaches at low tide, but otherwise aren’t really sure how much you’d ride a fat bike. It is the Pacific Northwest after all. We’re not really known for snowy or sandy trails. That’s why we have the Wo and the Wozo from the good folks at Kona bicycles. The frames are made out of aluminum, so they’re light and rust resistant. The Wozo has really fat 6″ wide tires that roll over the mushiest surfaces easily. The bike is outfitted with nice lightweight gear and comes in around $2500. 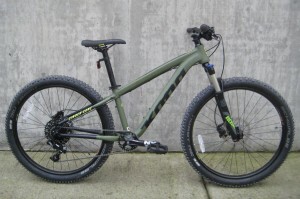 The Wo has 5″ wide tires for good floatation across soft trails, and the bike is less than $1600, so you can try out those weird cycling adventures that you had in mind without dropping a lot of cash. To clarify, Retrotec and Inglis are one in the same. 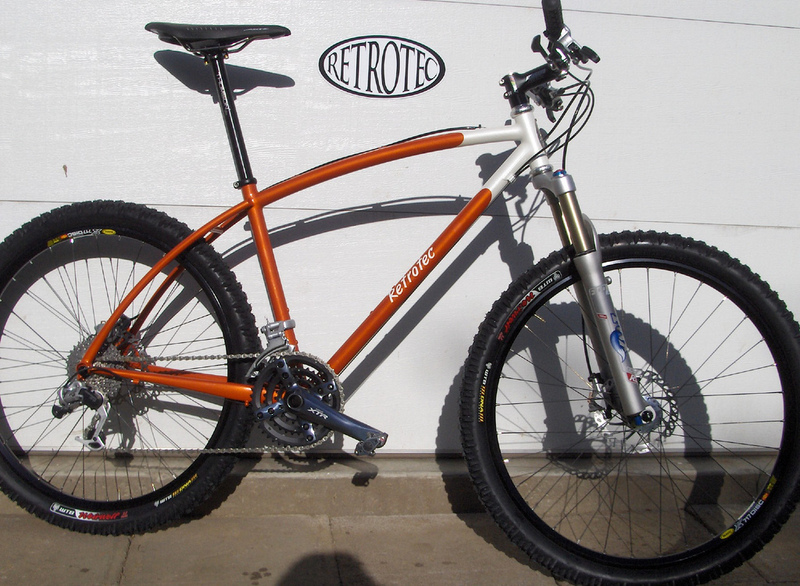 The Retrotec label means curves. Straight-tube construction is named Inglis. 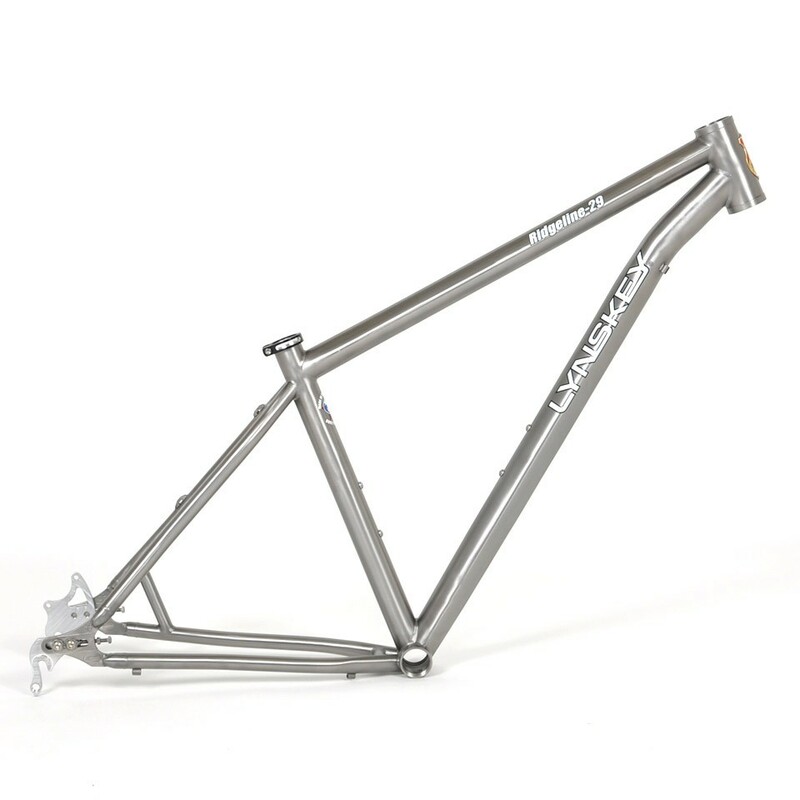 Off-road frames can be built with a a rigid custom fork (Curtis makes a few different types, or with suspension-corrected geometry around the fork of your choice. If you can imagine it, chances are that Curtis can build it. 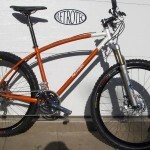 He utilizes many different techniques (lugs, tig welds, fillet brazing) and many different tubing styles to make your dream bike. 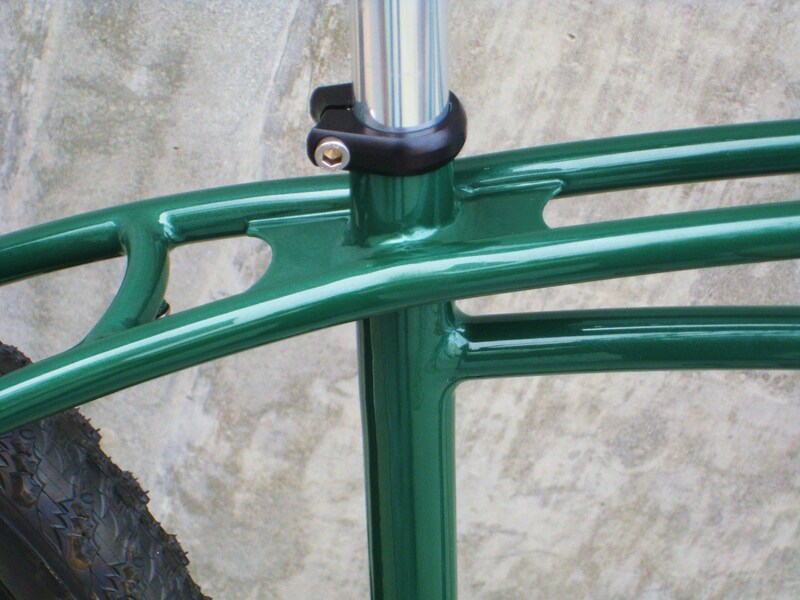 Single-speed options are available with an eccentric bottom bracket shell, and rack (and fender mounts) are not a problem. Feel like traveling? 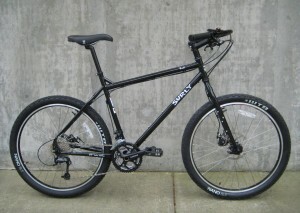 S & S couplings can be added to your bike frame that will make it come apart to fit into a suitcase.